HomeNewsWhat is the Yield Curve Forecasting? It’s well-known that in the United States, recessions are often preceded by an inversion of the yield curve. Is there any economic rationale for why this should be the case? So, in theory at least, an inverted yield curve does not forecast recessions–it forecasts growth slowdowns. Nevertheless, there is a sense in which an inverted (or even flat) yield curve can, in some circumstances, suggest that recession is more likely. Here’s the basic idea. How does this idea match up the data? 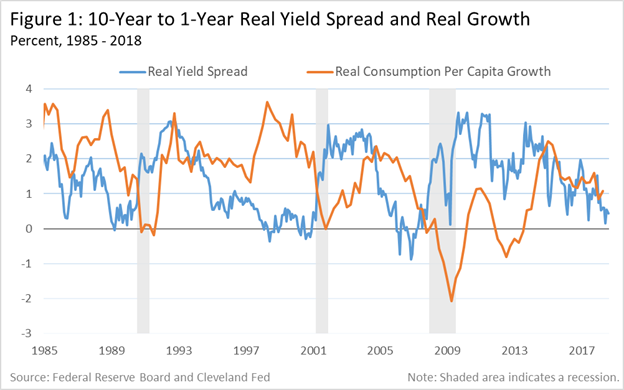 Here is a plot of the 10-1 real yield spread in the United States from 1985-2018 (blue line) along with the year-over-year growth rate of real per capita consumption–nondurables plus services (orange line). Well, it’s not perfect, but as is clear from the figure, the real yield curve flattened and inverted prior to each of the past three recessions. Consistent with the theory, note that consumption growth tends to decelerate as the yield curve flattens. This is true even in non-recessionary episodes. In particular, the consumption growth deceleration of 1985-85, 1988-89, and 2006-07 were each associated or preceded by a flattening or inverted yield curve. 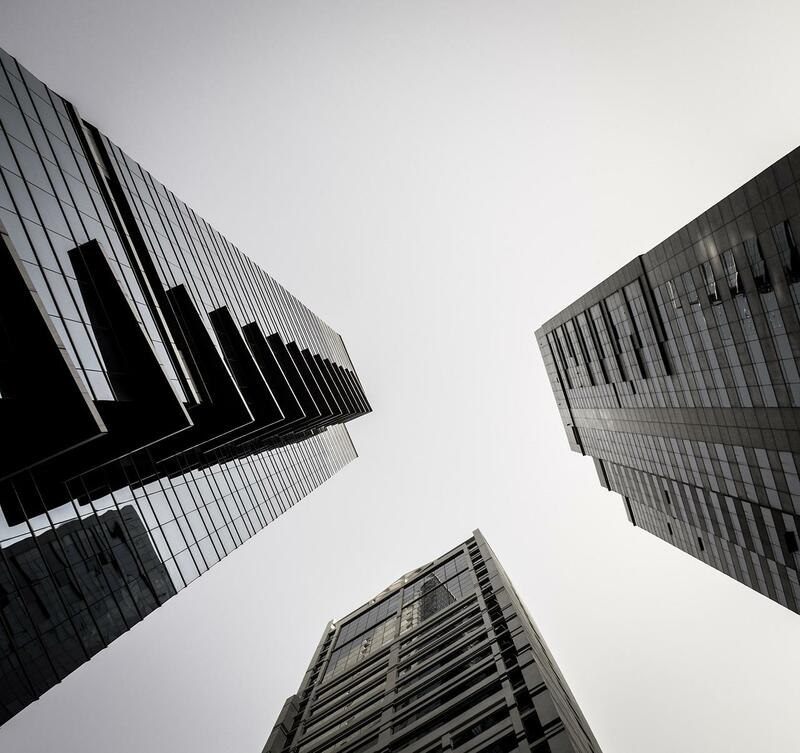 Each of the three recessions occurred when consumption was growing at a moderate to low pace.